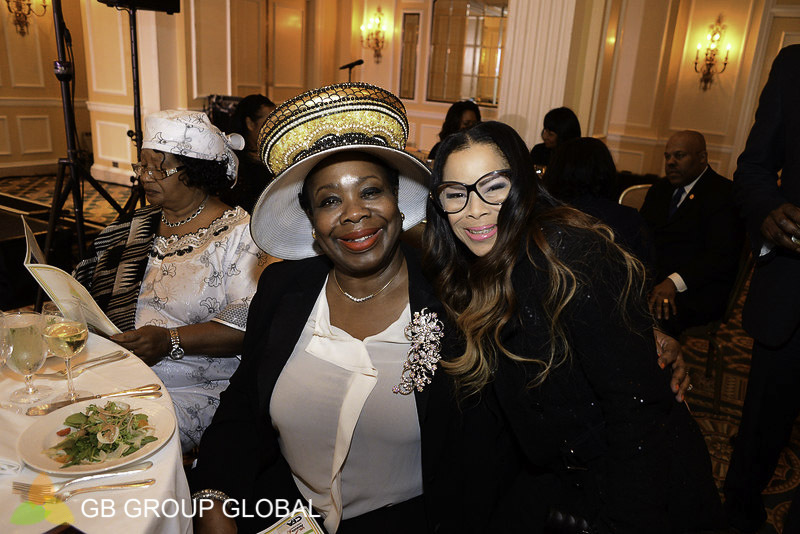 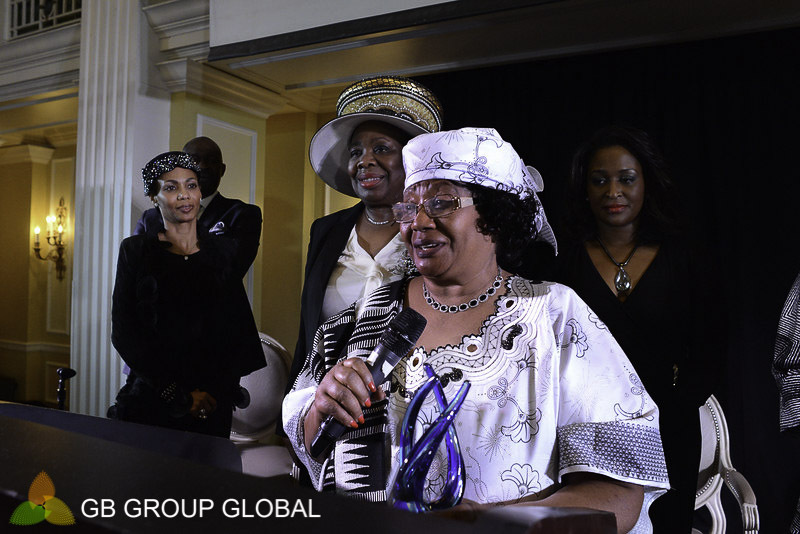 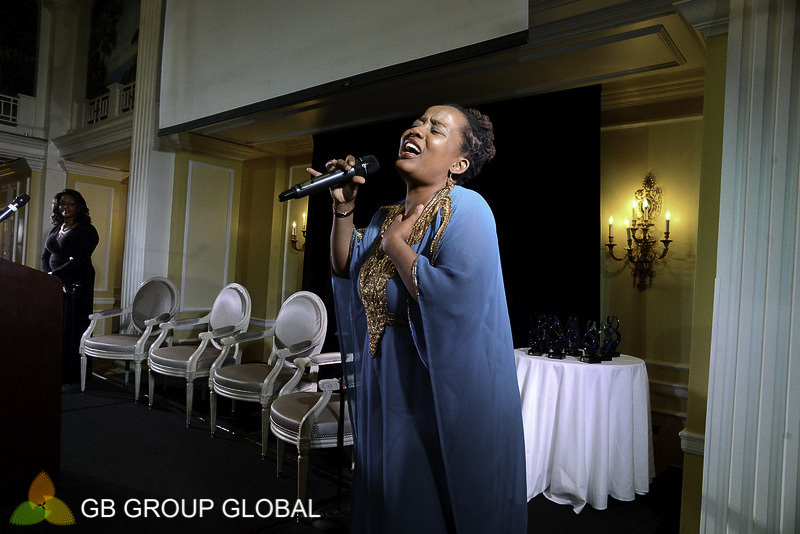 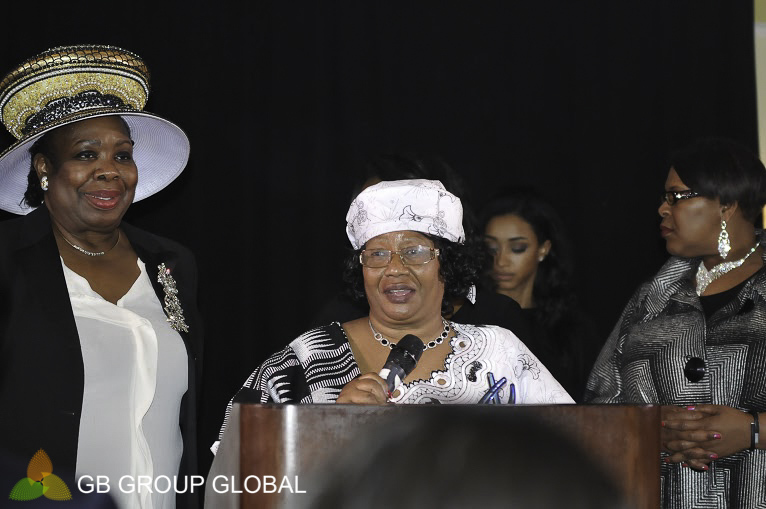 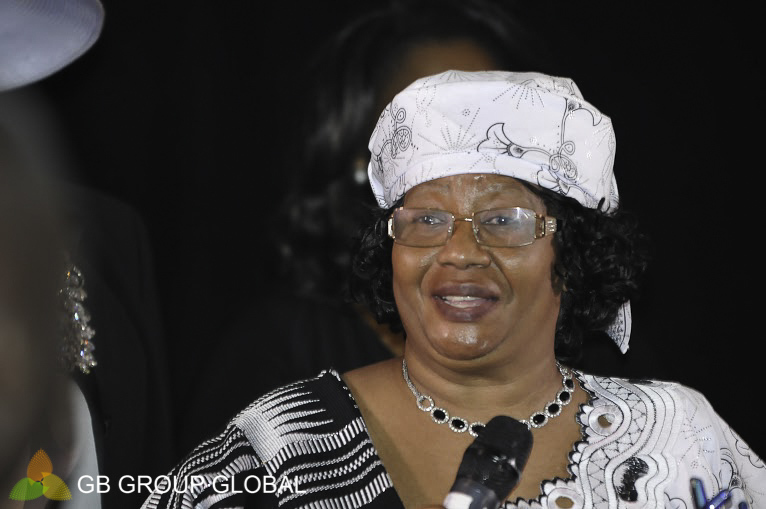 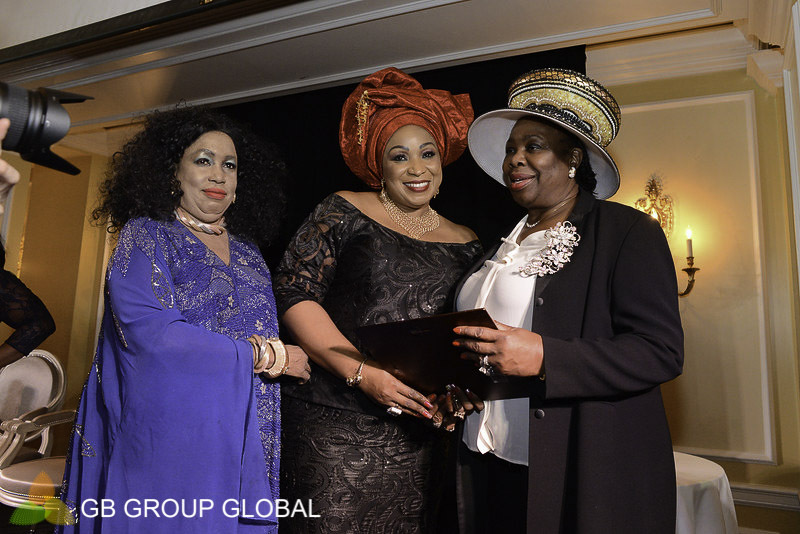 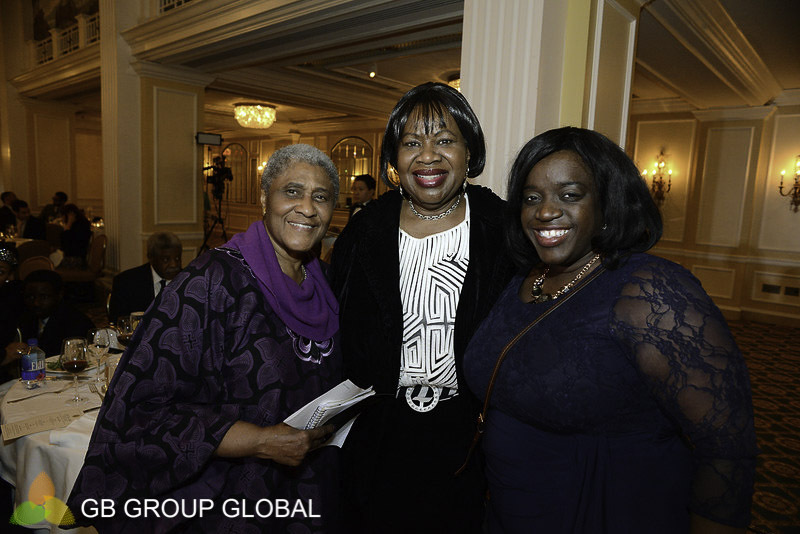 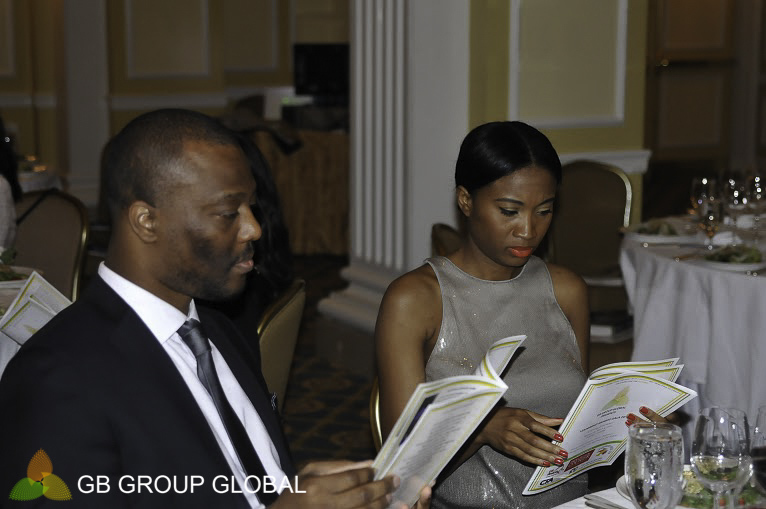 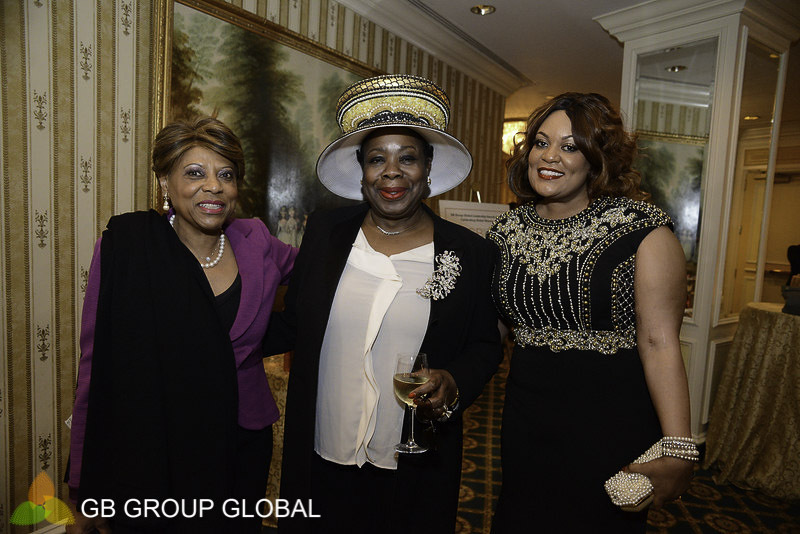 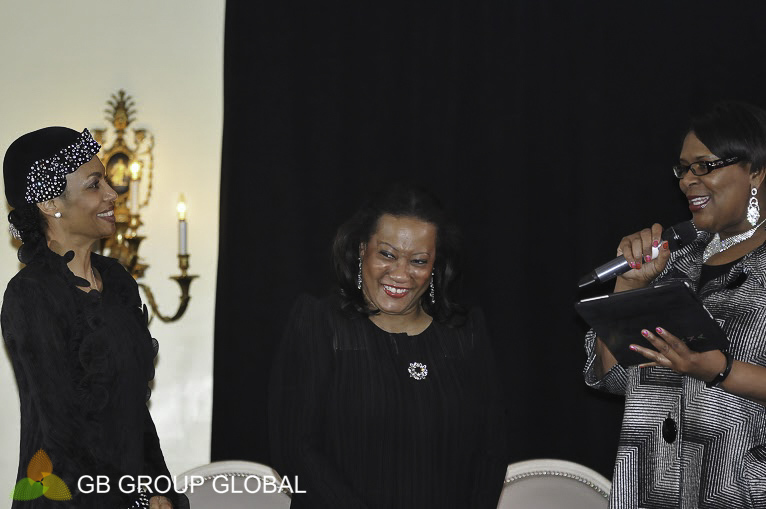 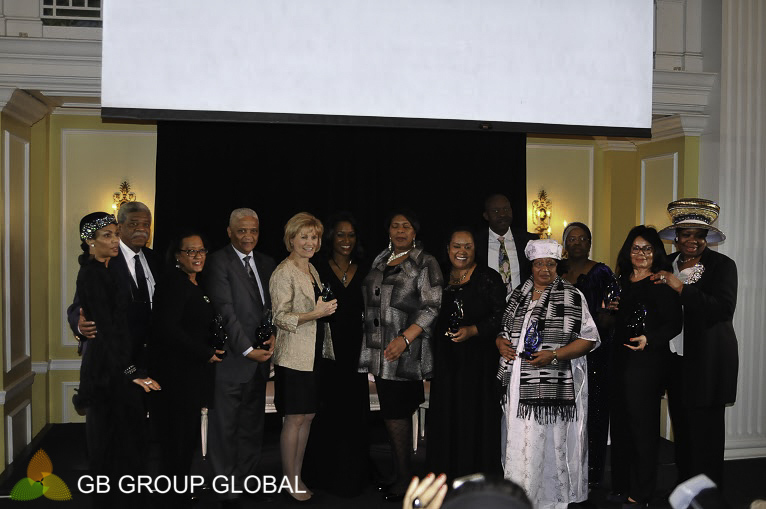 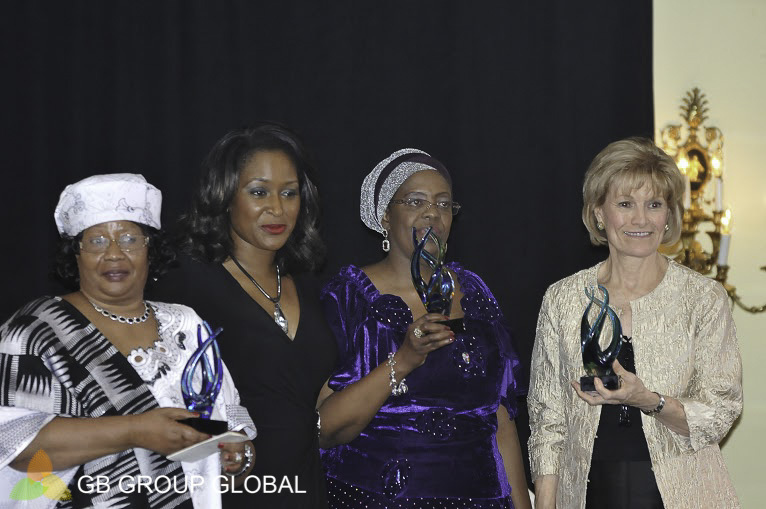 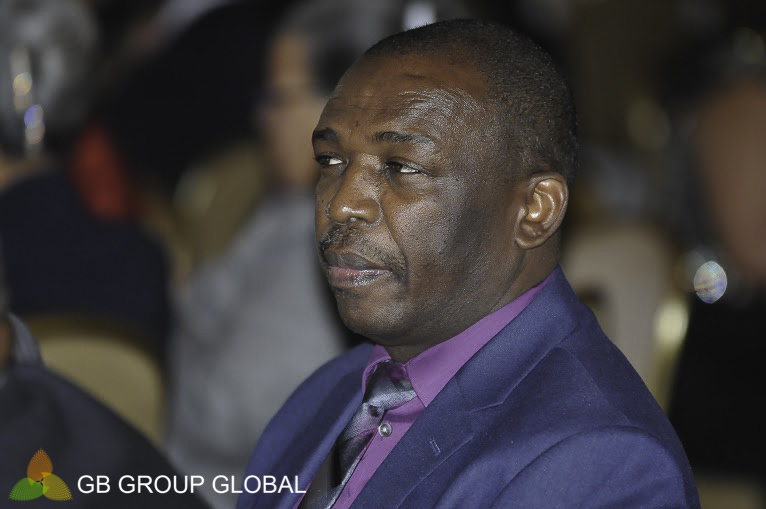 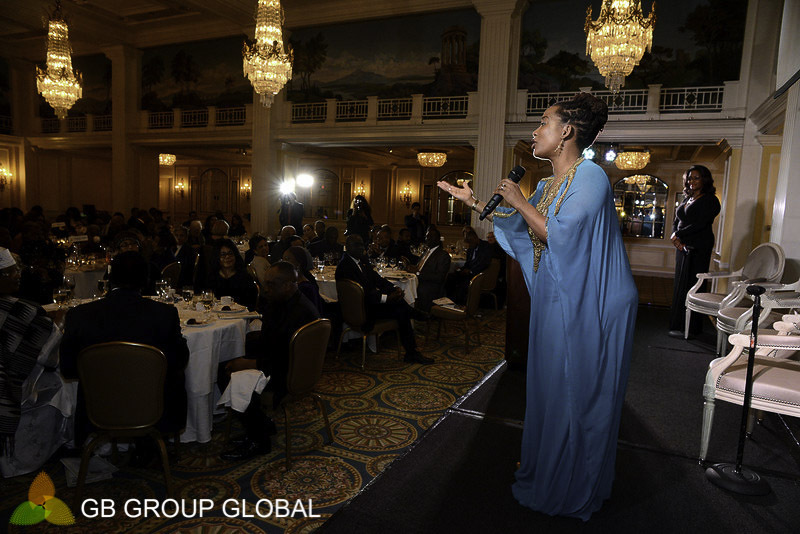 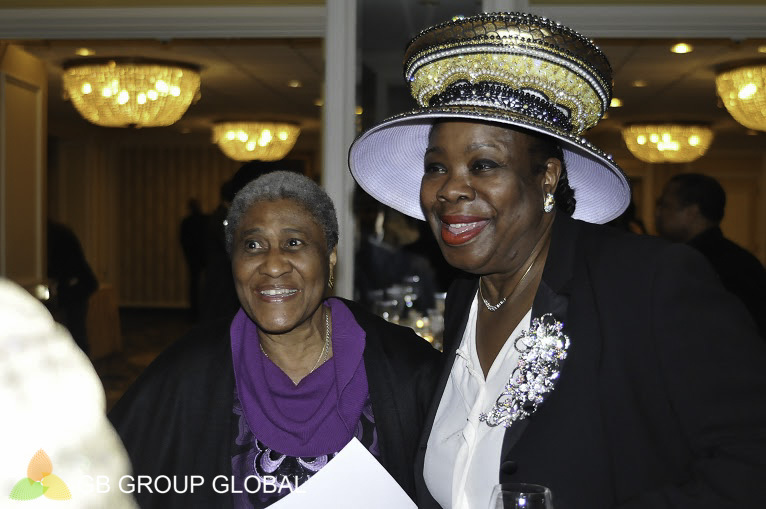 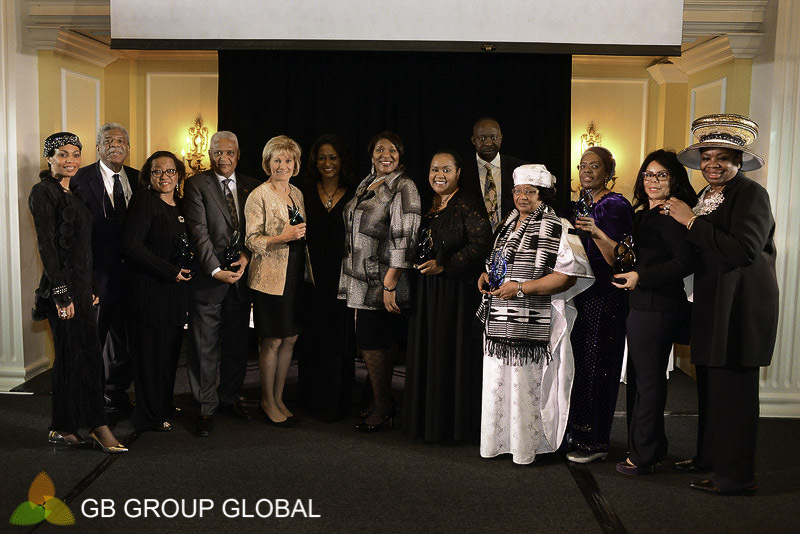 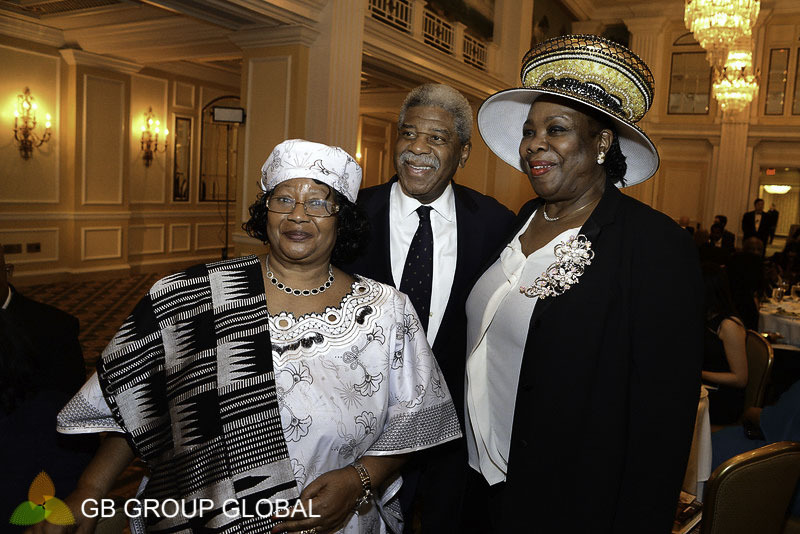 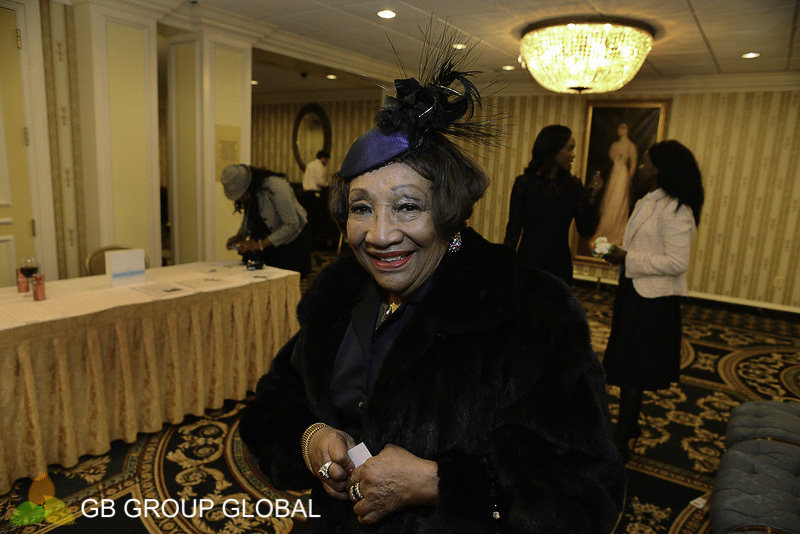 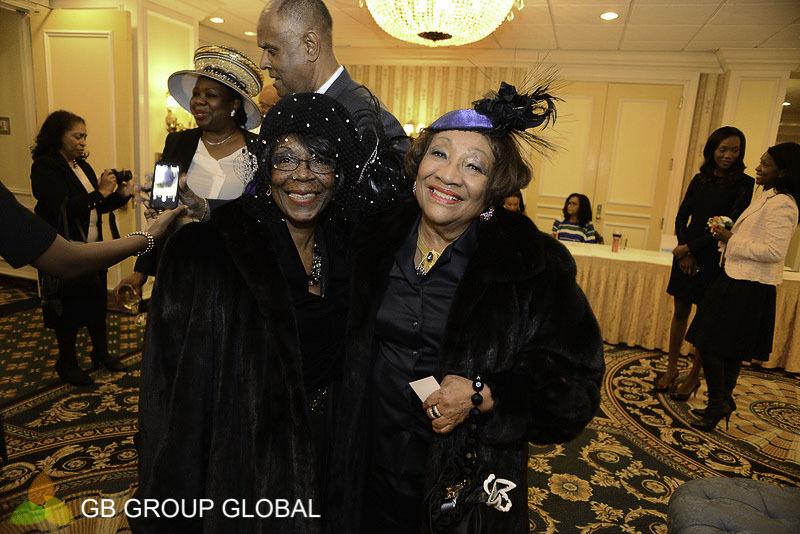 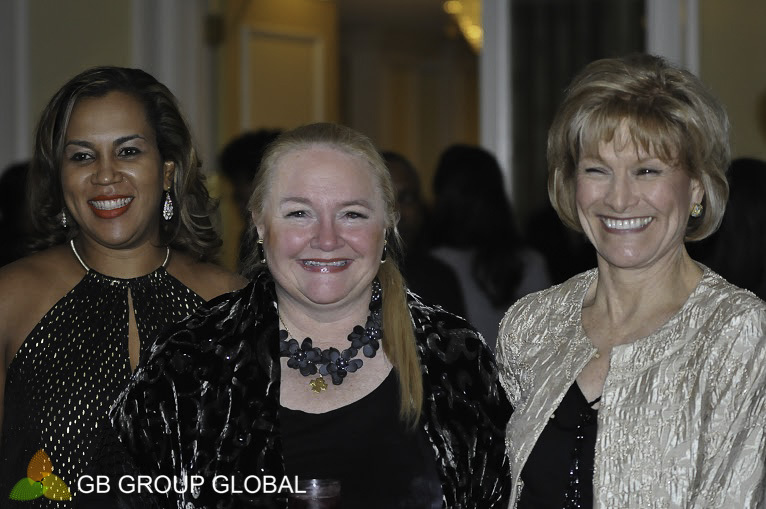 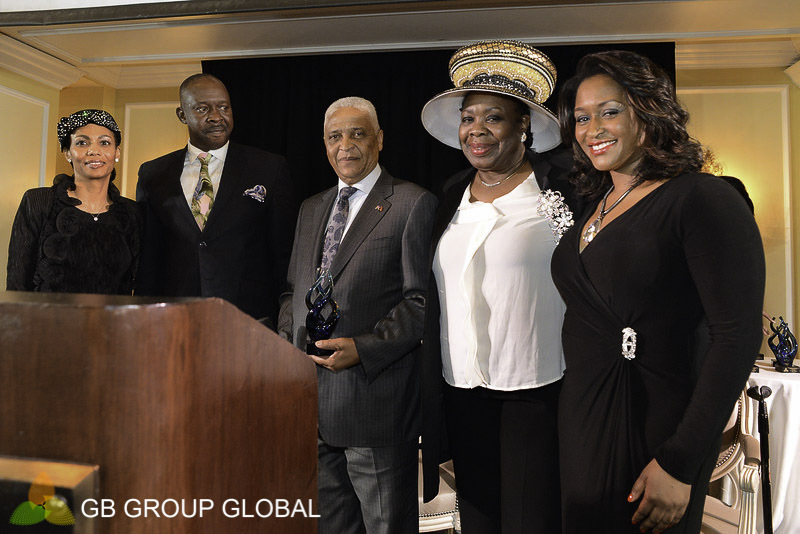 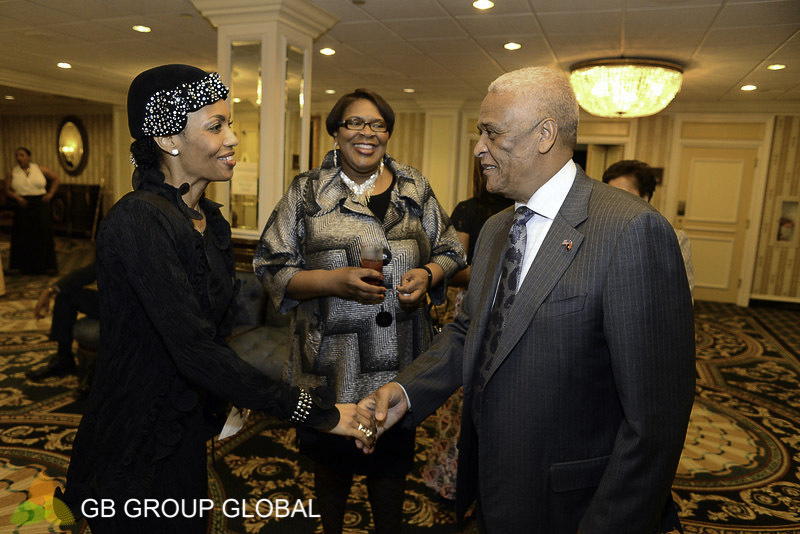 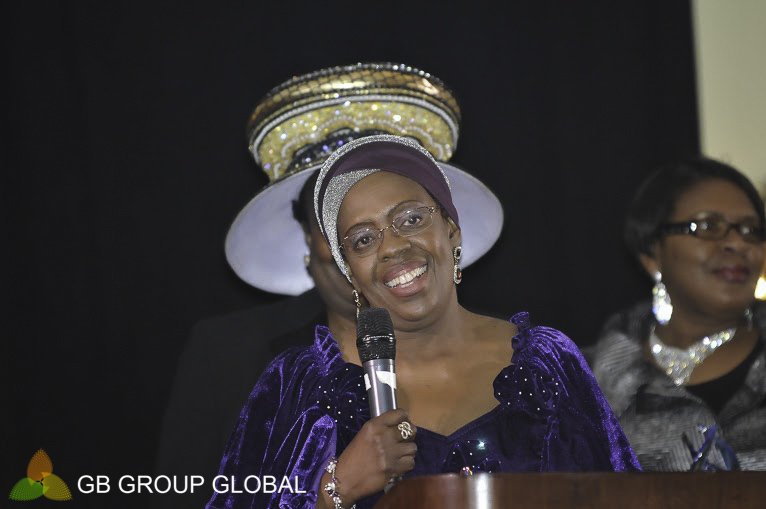 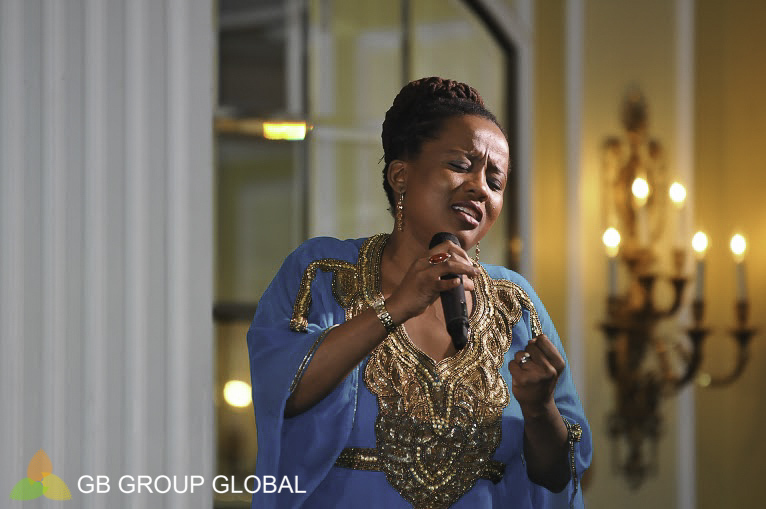 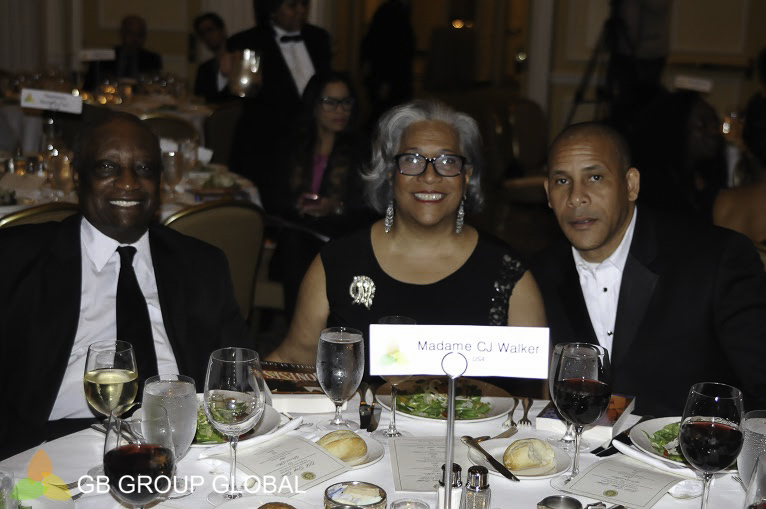 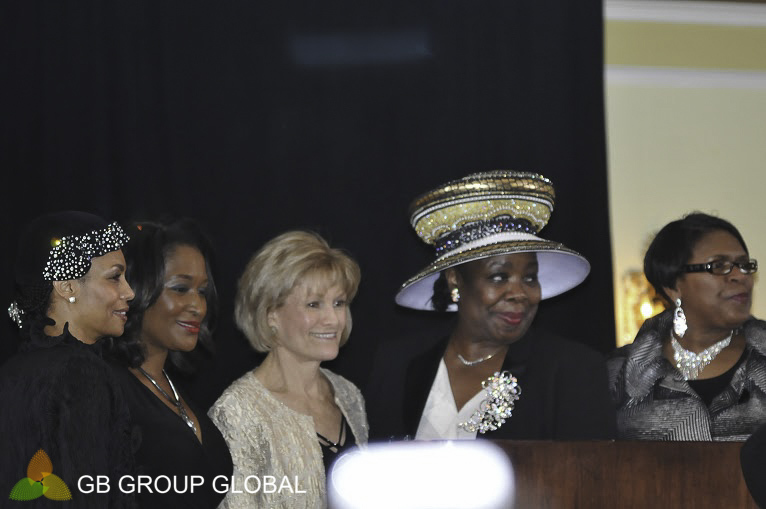 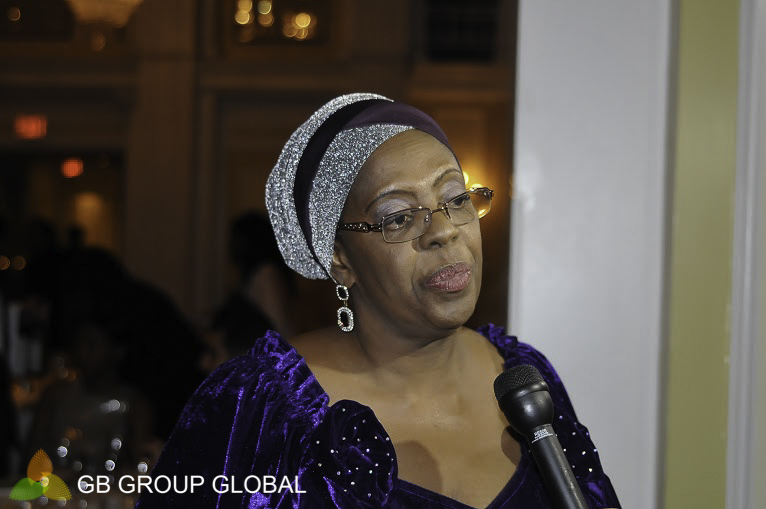 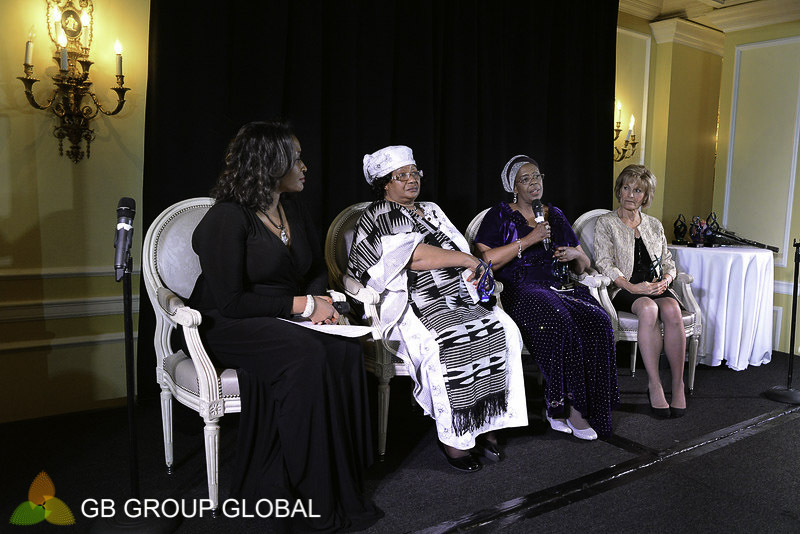 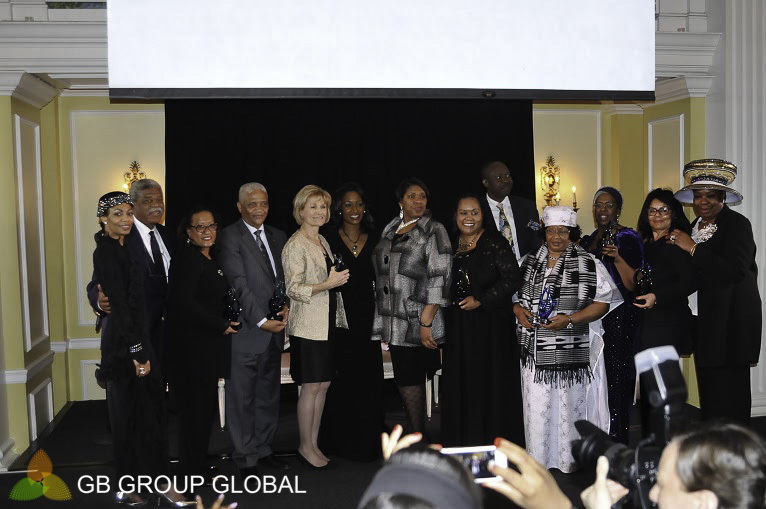 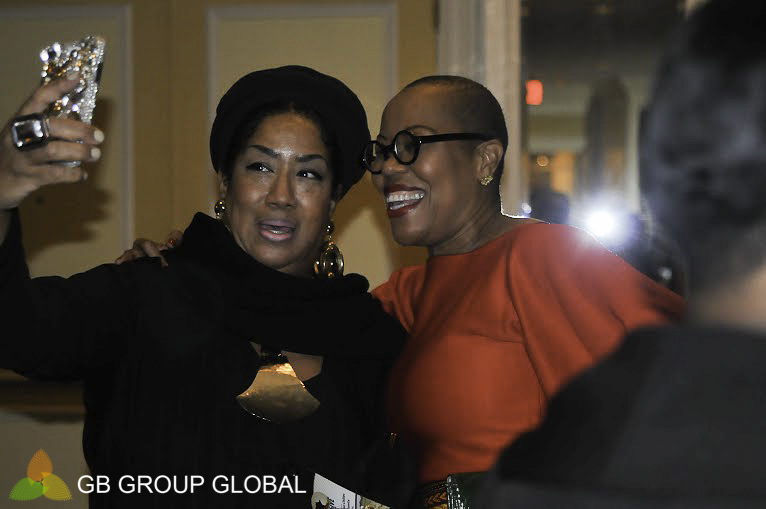 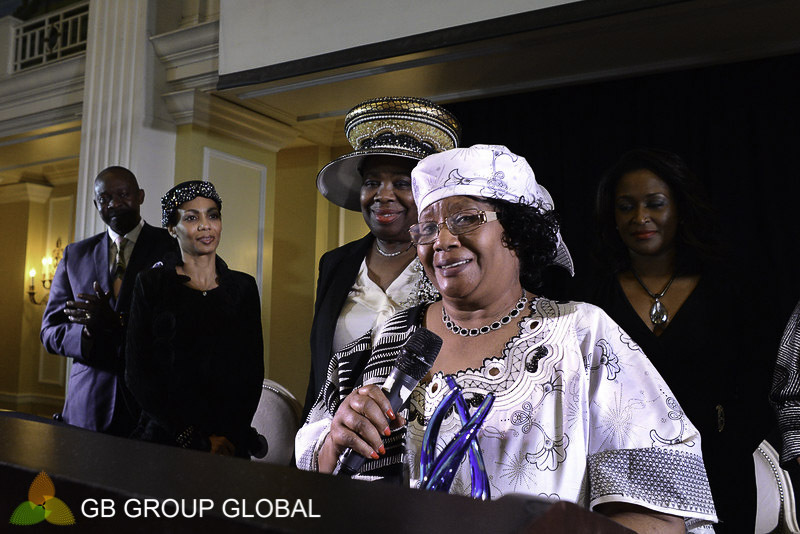 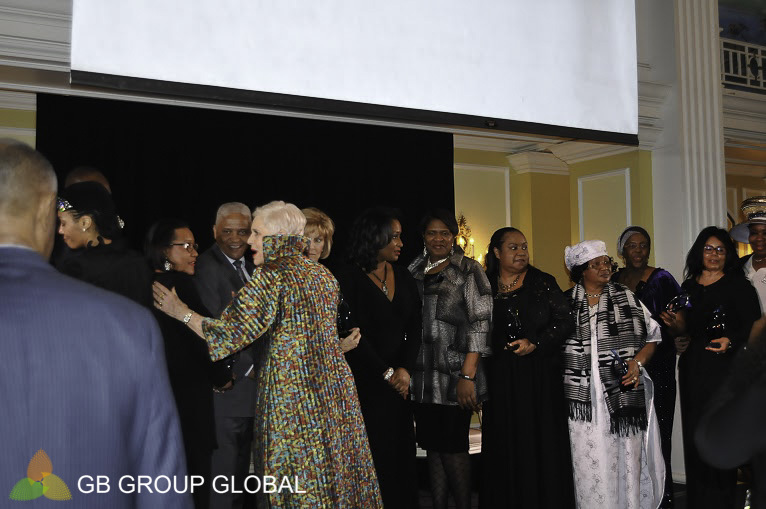 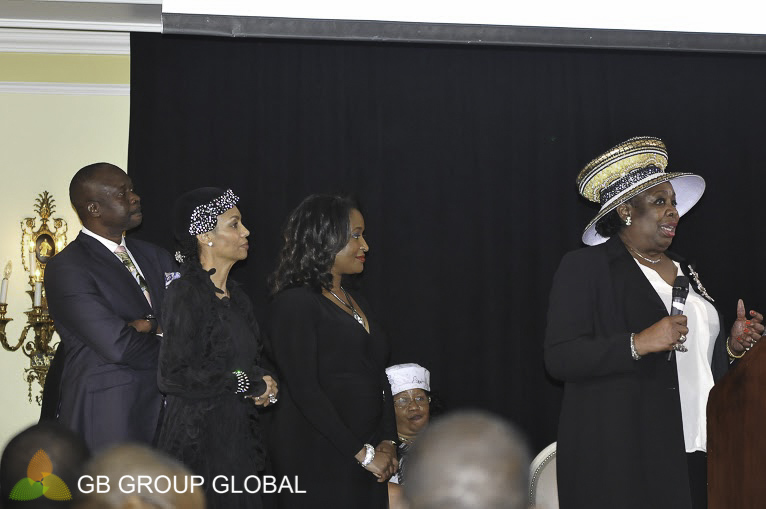 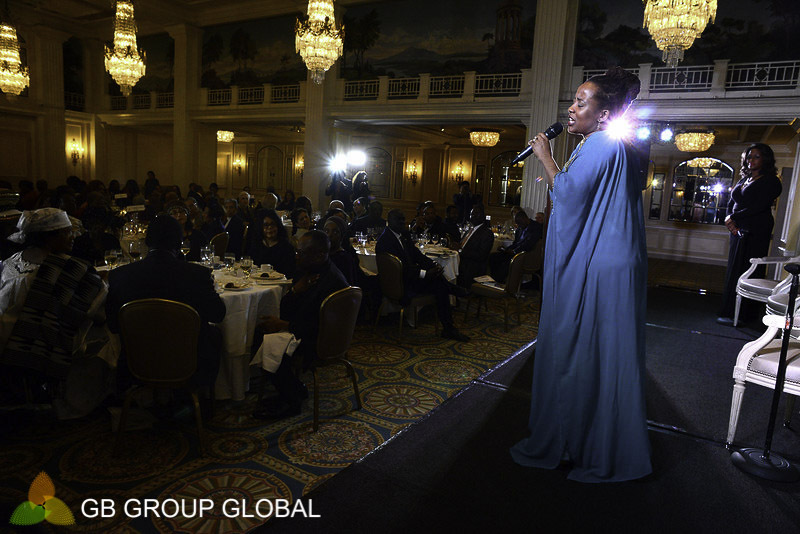 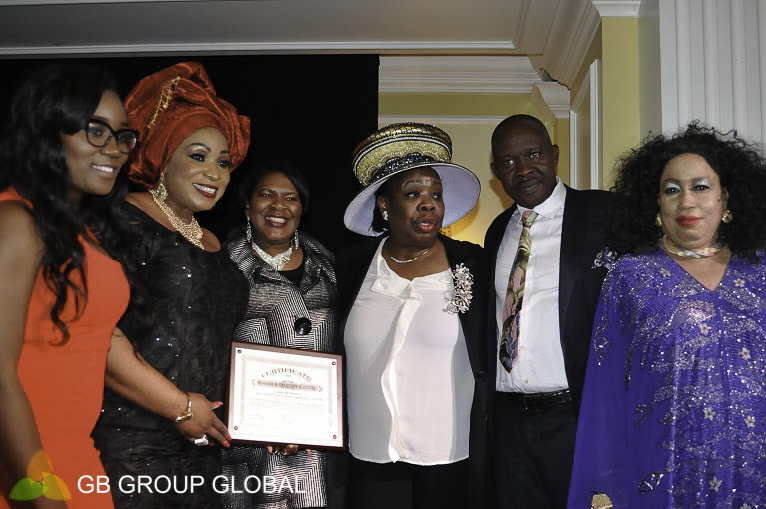 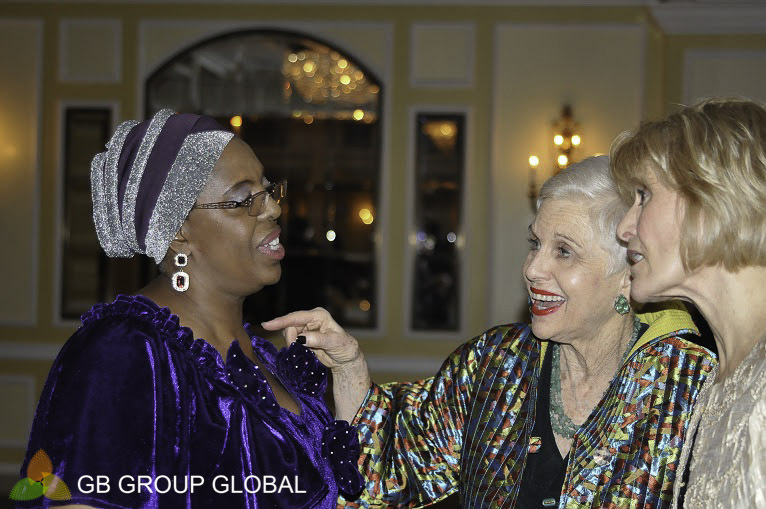 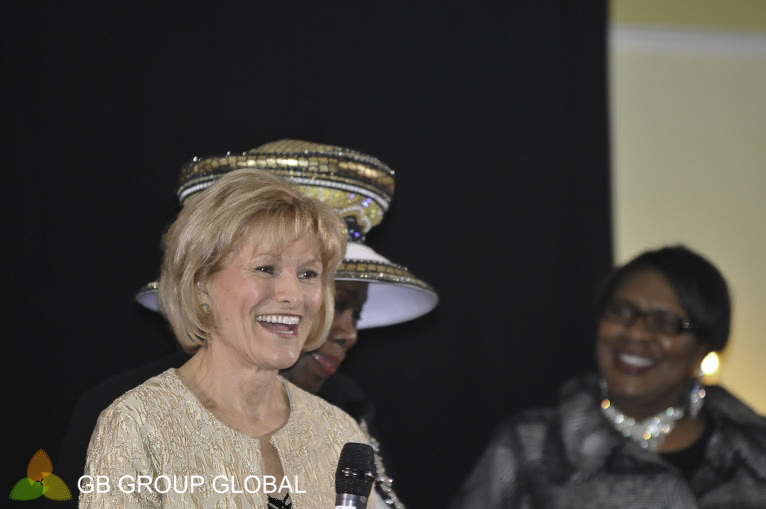 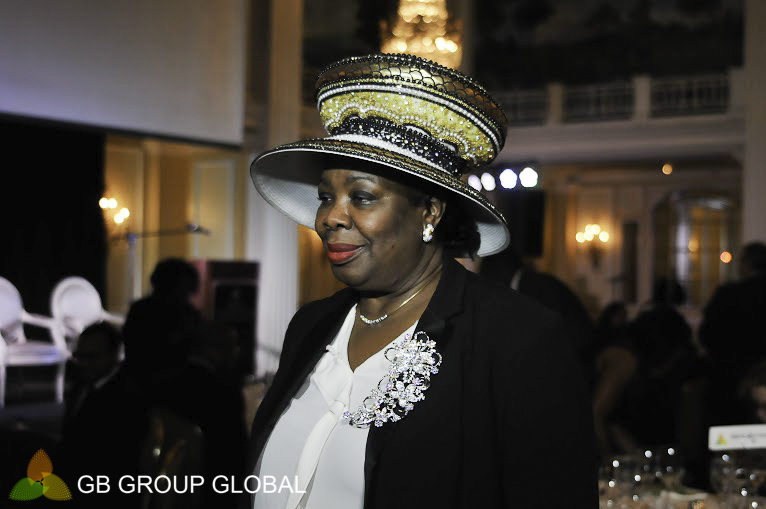 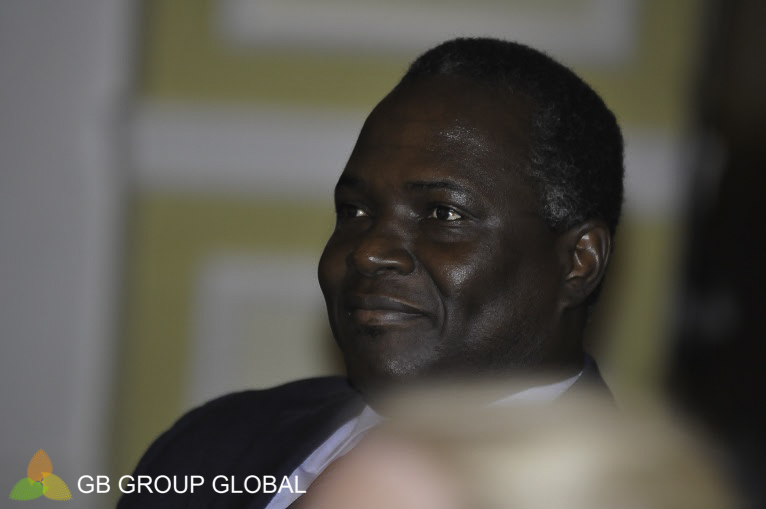 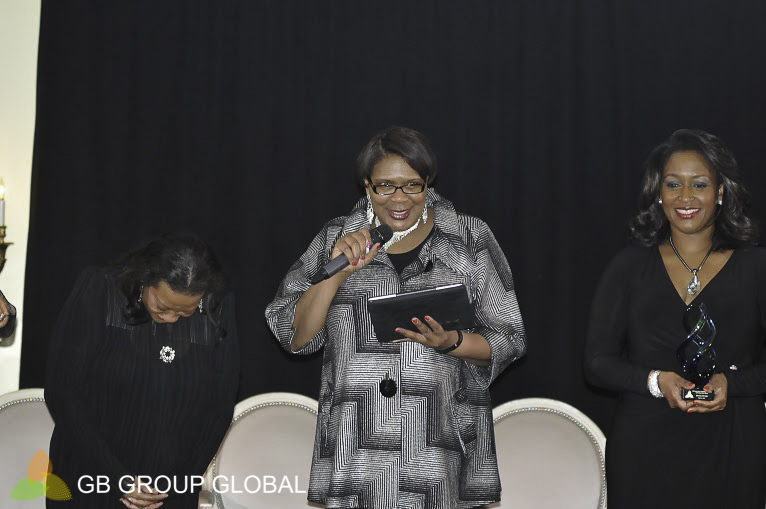 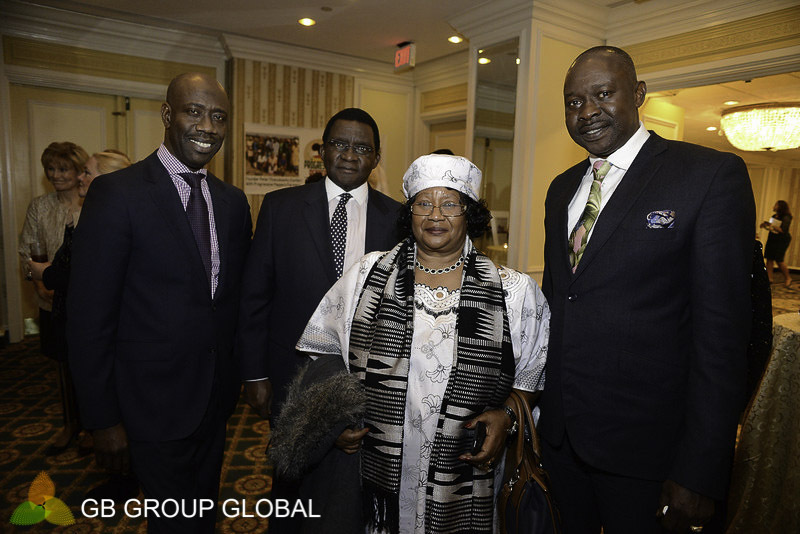 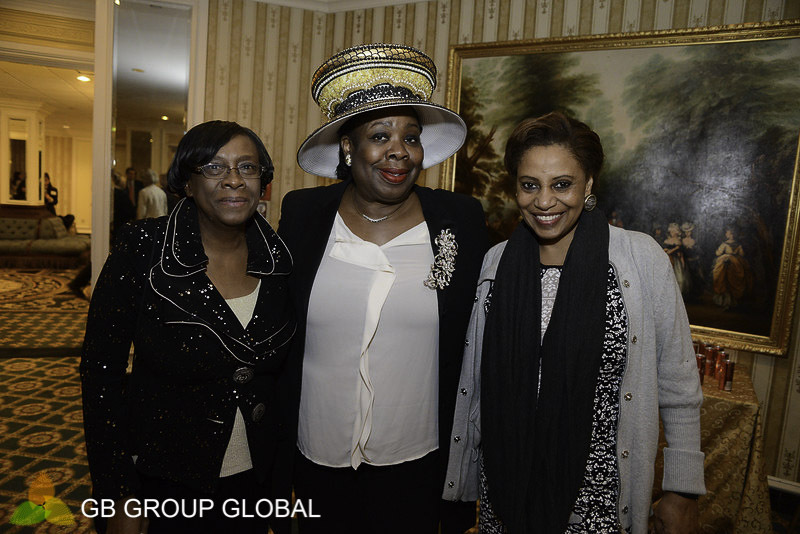 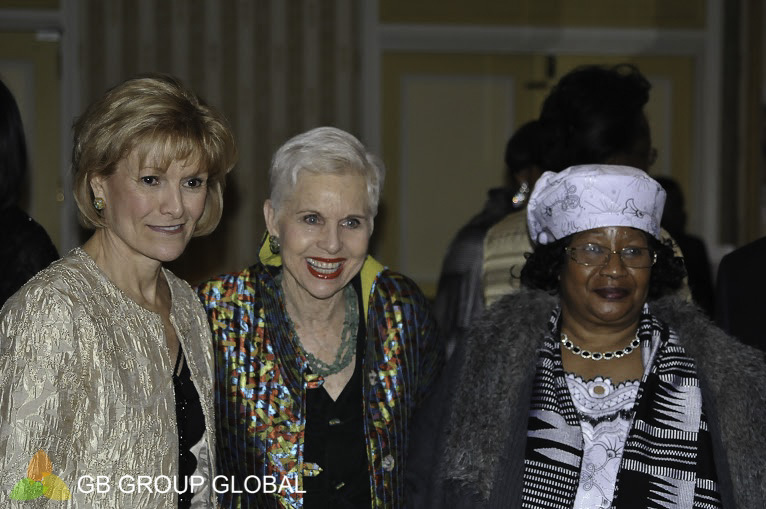 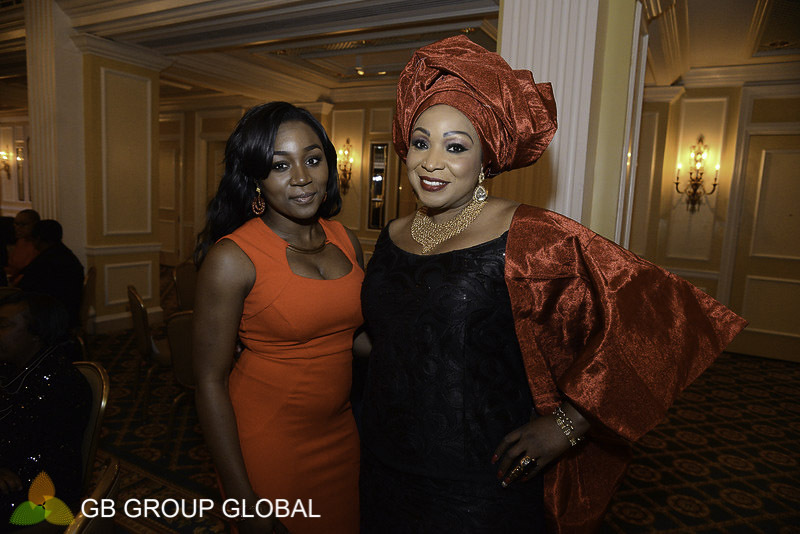 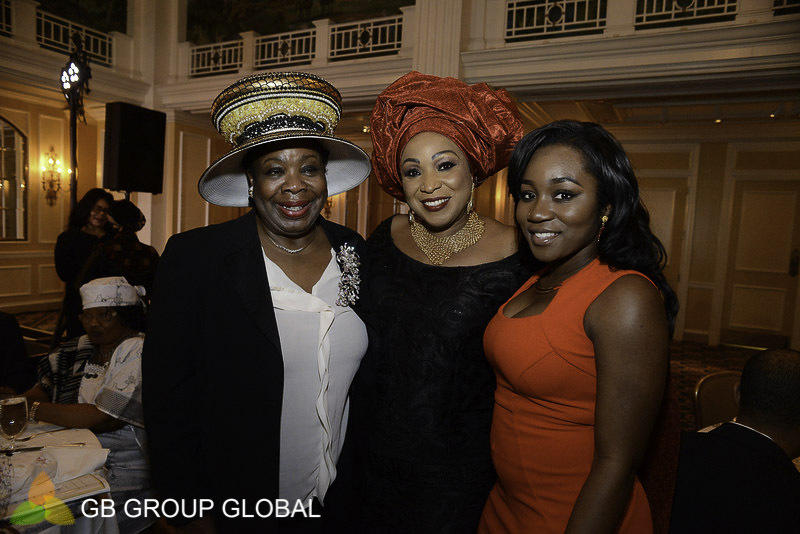 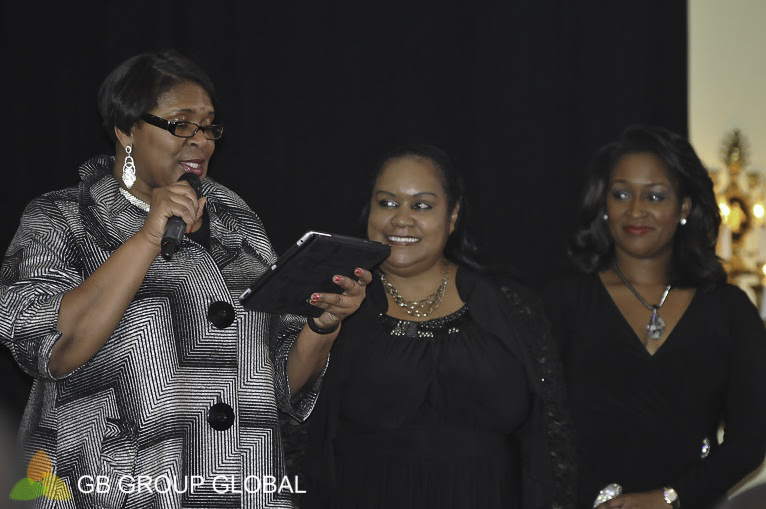 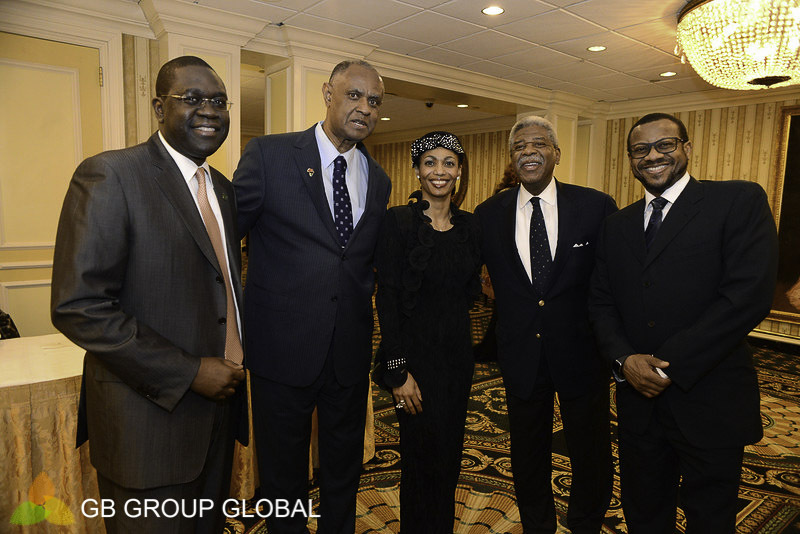 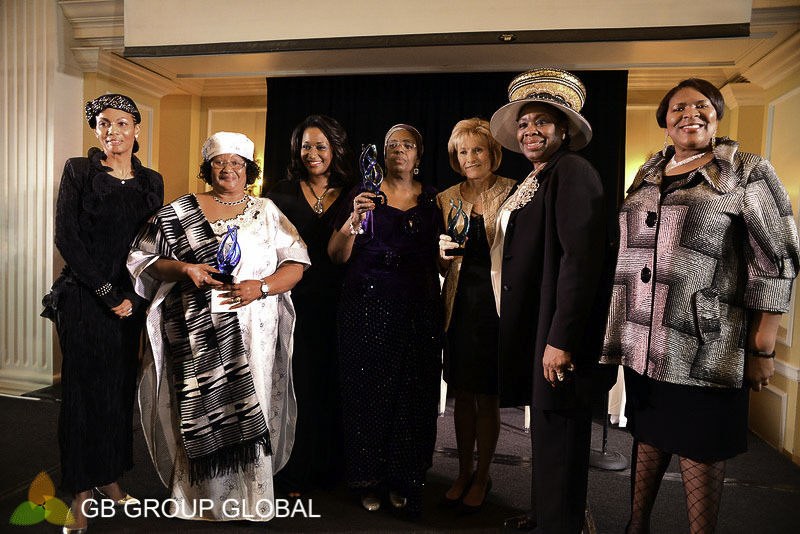 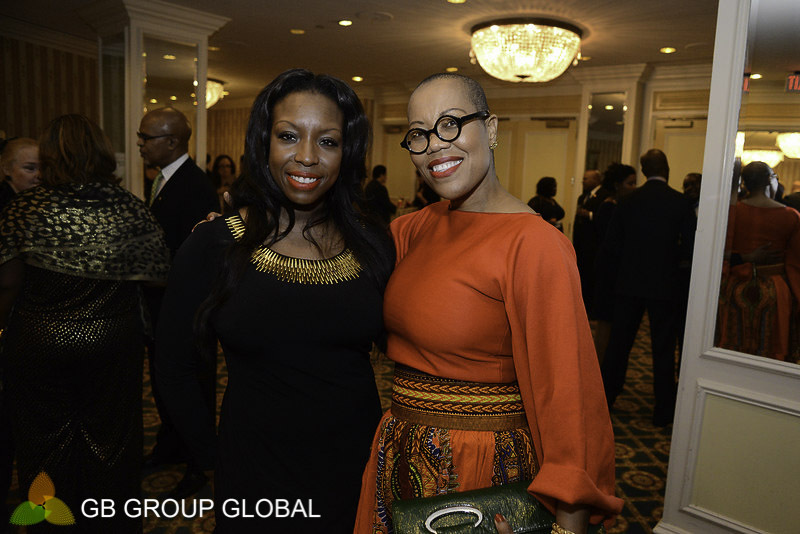 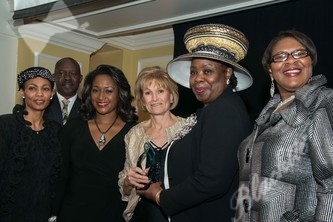 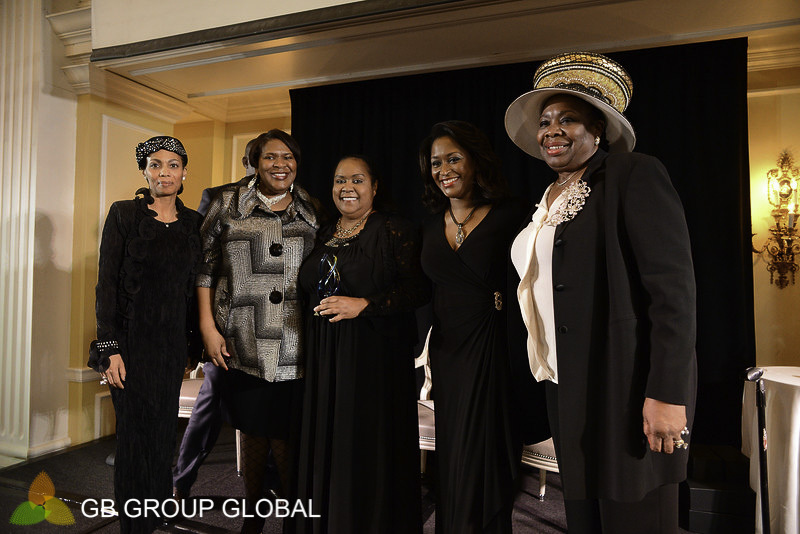 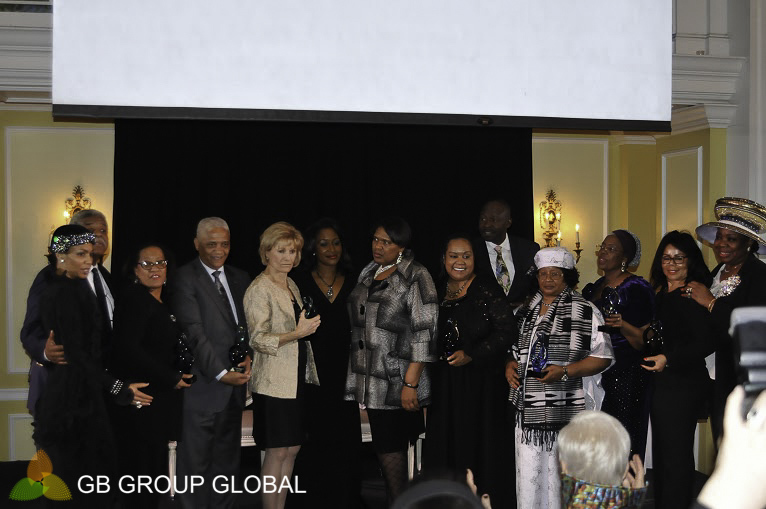 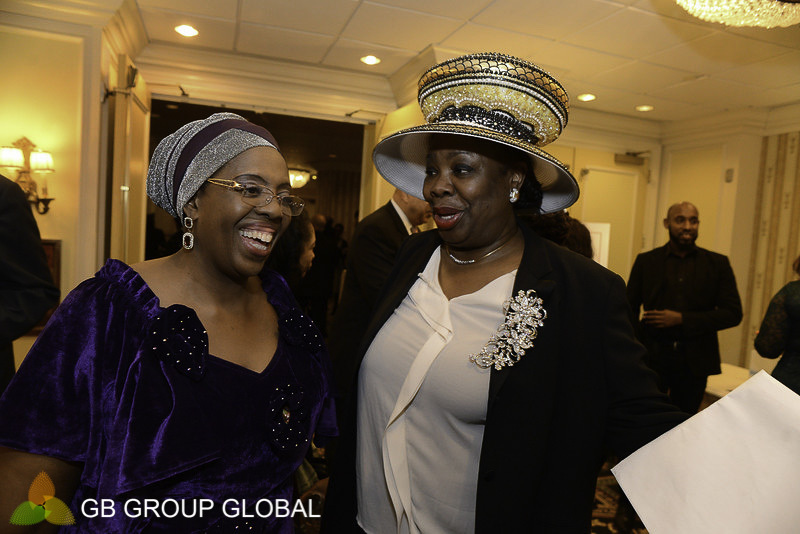 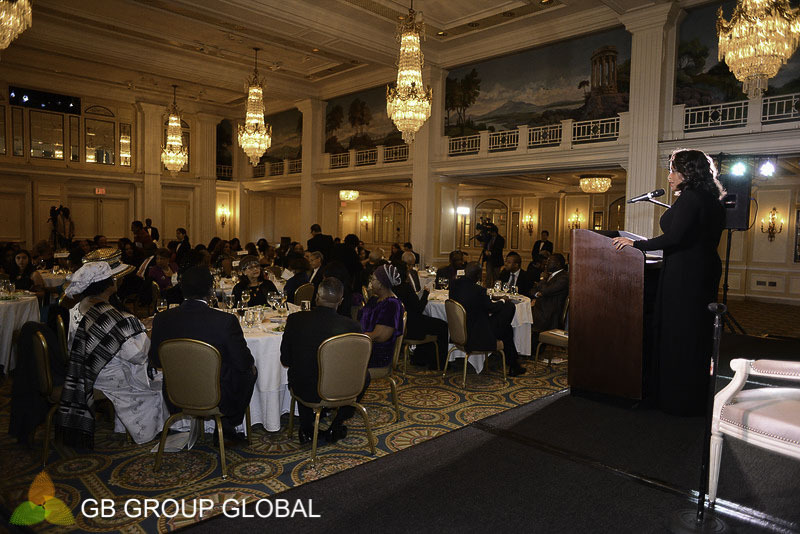 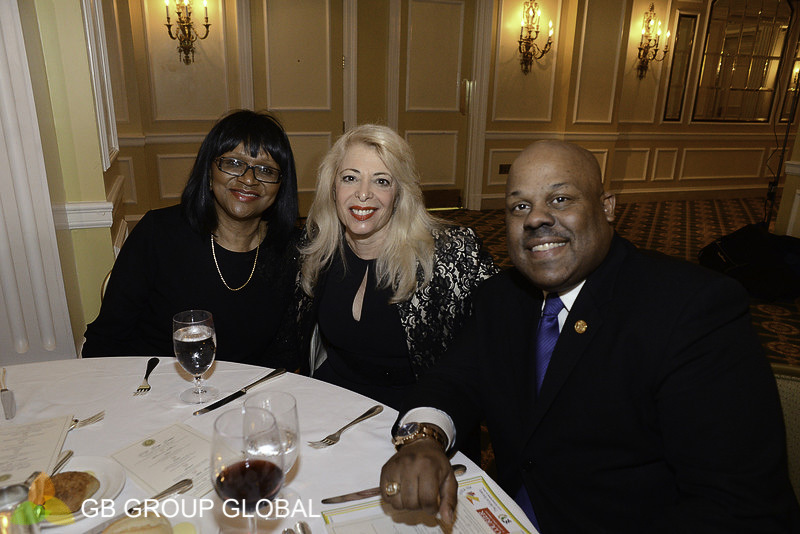 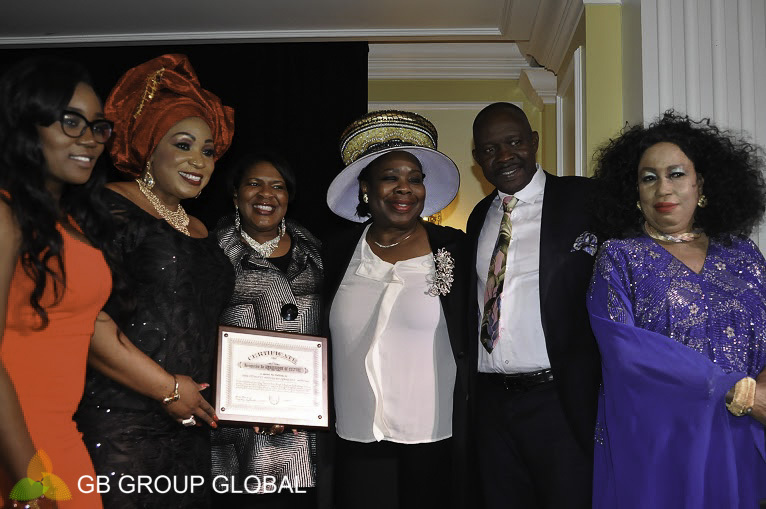 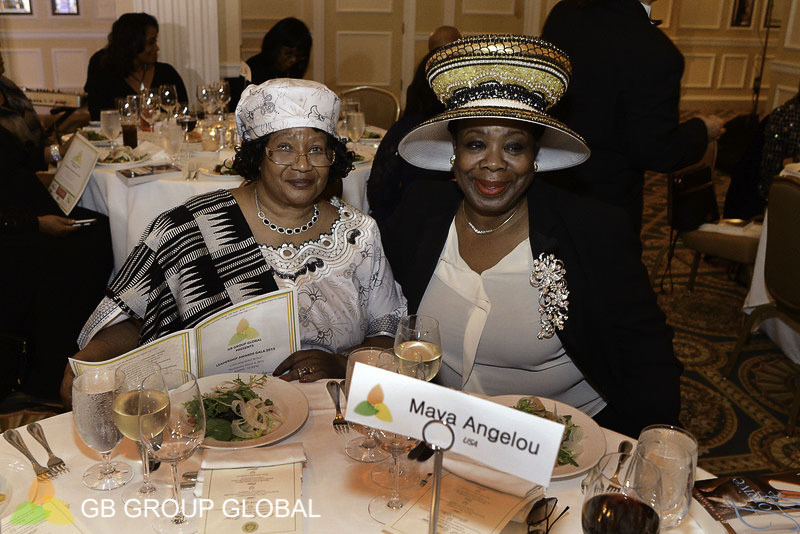 The GB Group Global describe themselves as “fostering meaningful relationships across borders.” In addition to Mama Sarah Obama, awards were given before a packed house to President Dr. Joyce Banda, the first female president of the Republic of Malawi & Africa’s second woman president; H.E. 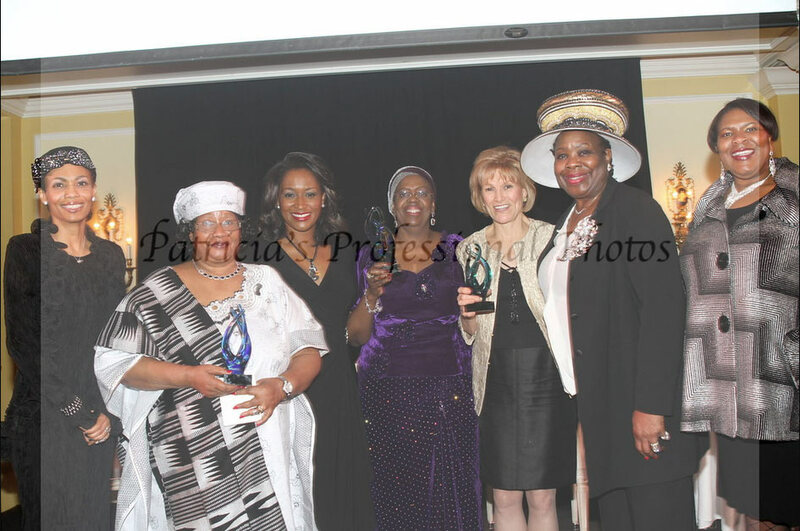 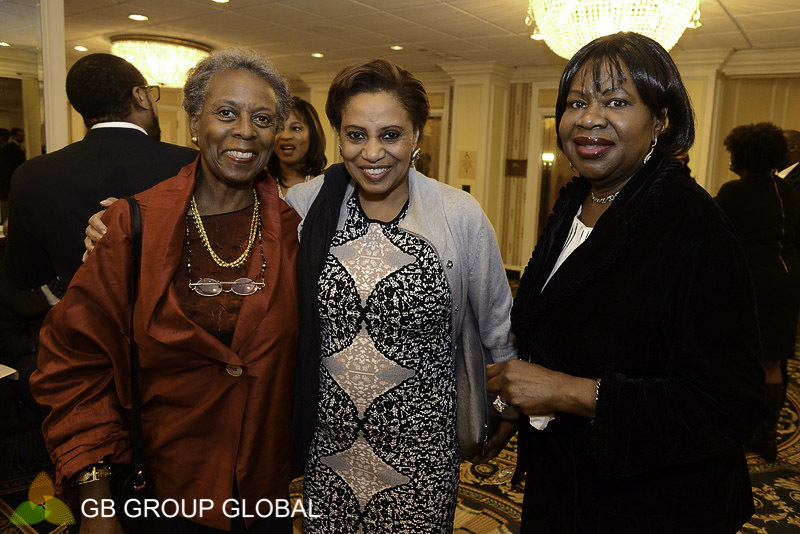 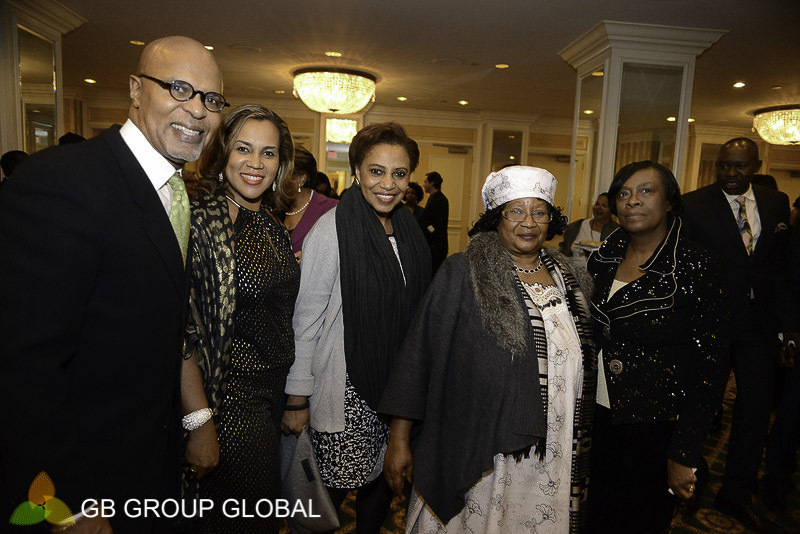 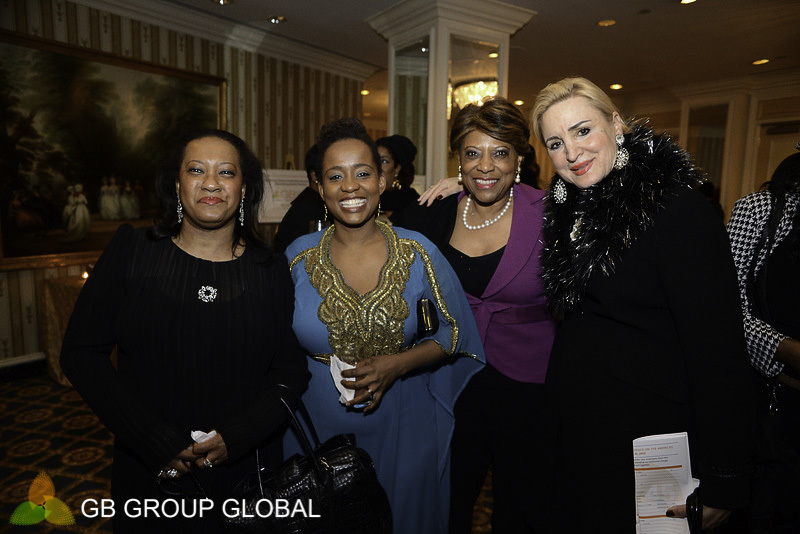 Ambassador Amina Salum Ali, head honcho of the African Union representing 54 countries, Ms Isabel Dos Santos, Africa’s first woman billionaire; Ms Fumbi Chima, Chief Information Officer of Walmart-Asia; and Ms Joan Wages, President/CEO of the National Women’s History Museum. 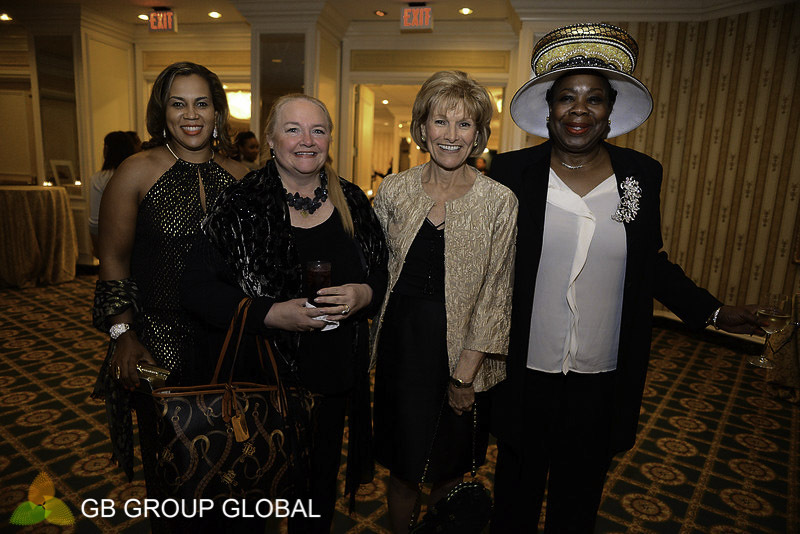 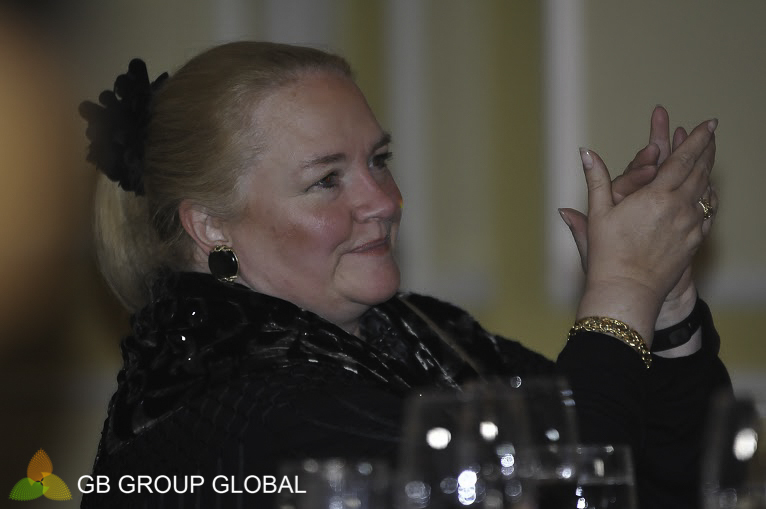 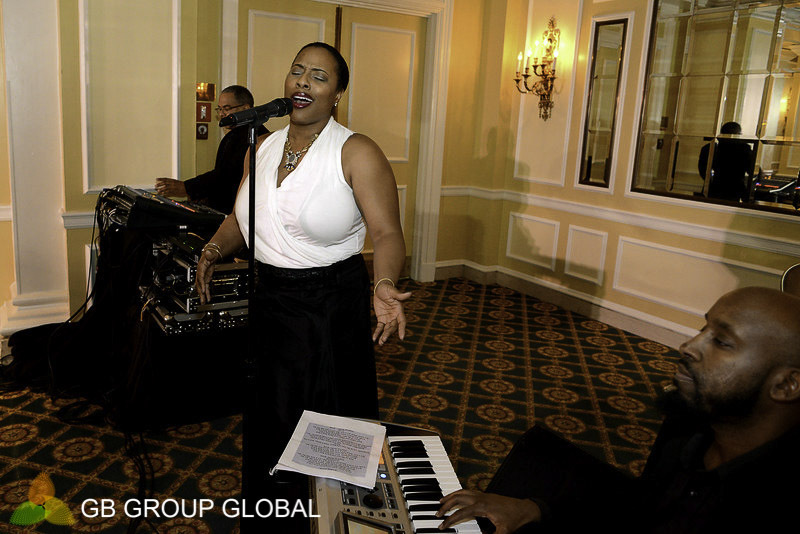 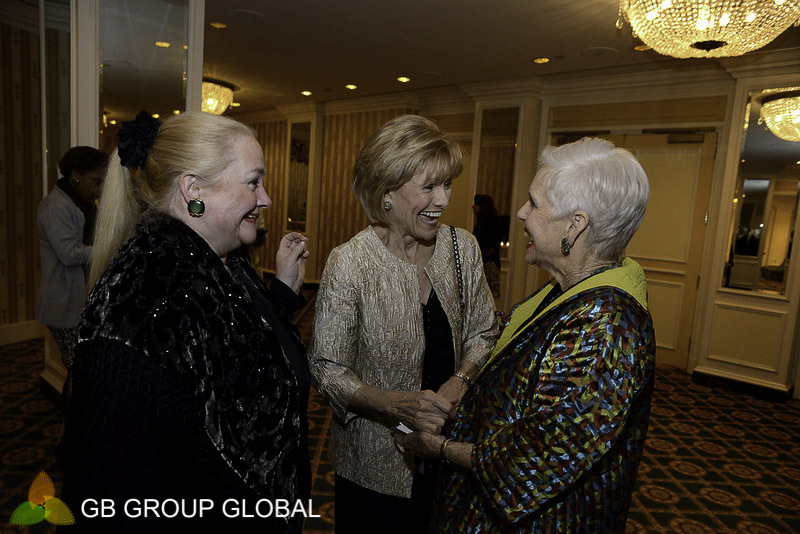 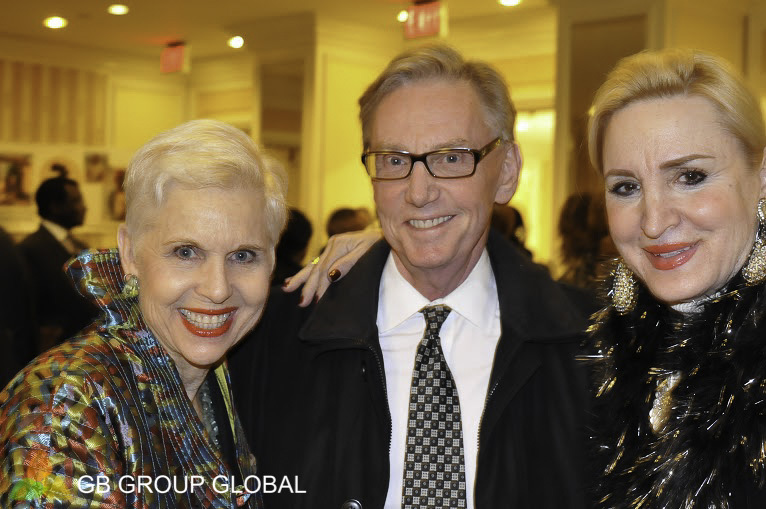 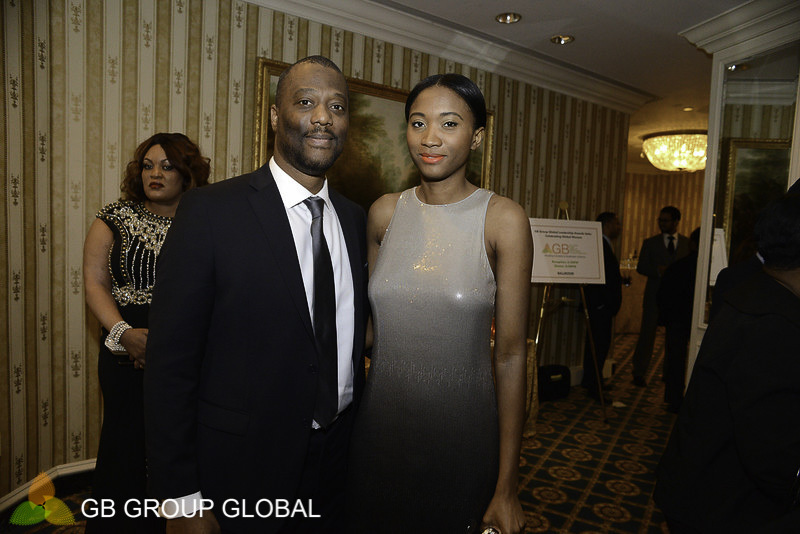 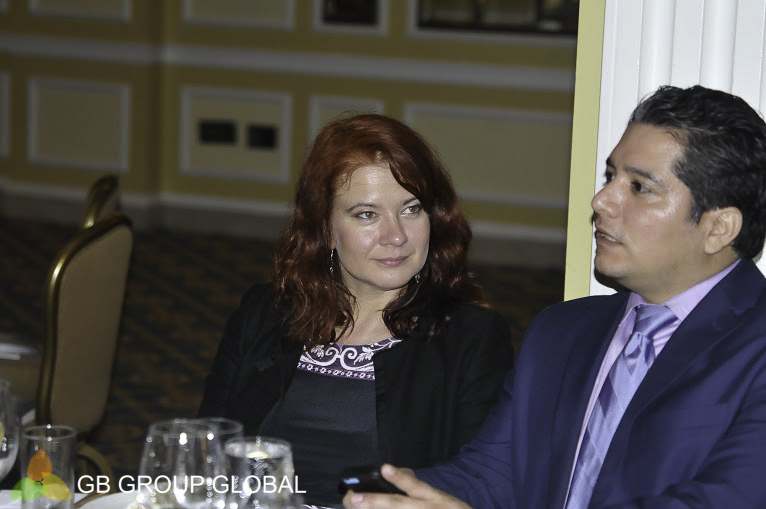 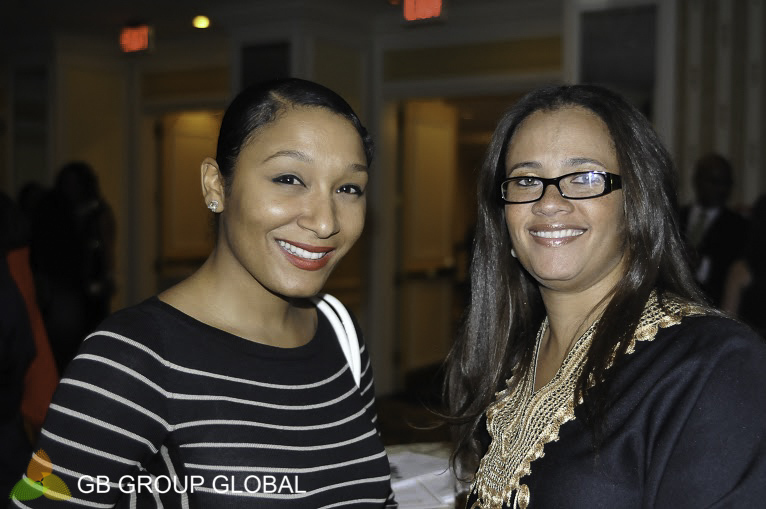 The event was organized by GB Group Global & international publicist Jan Du Plain. 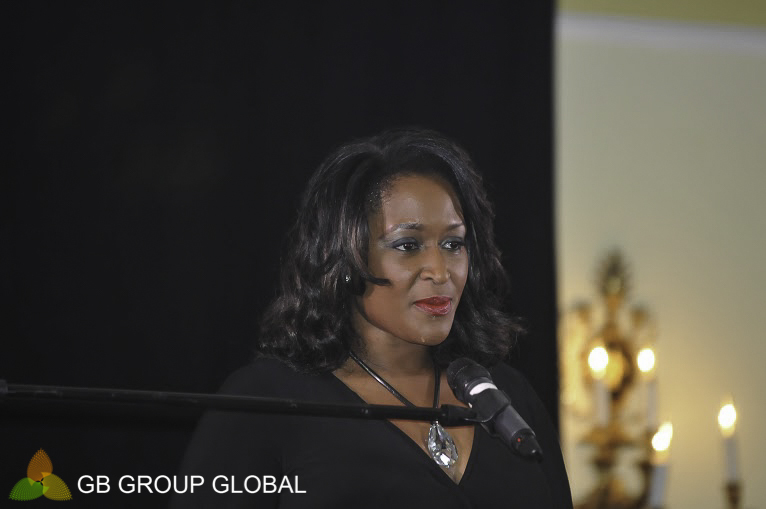 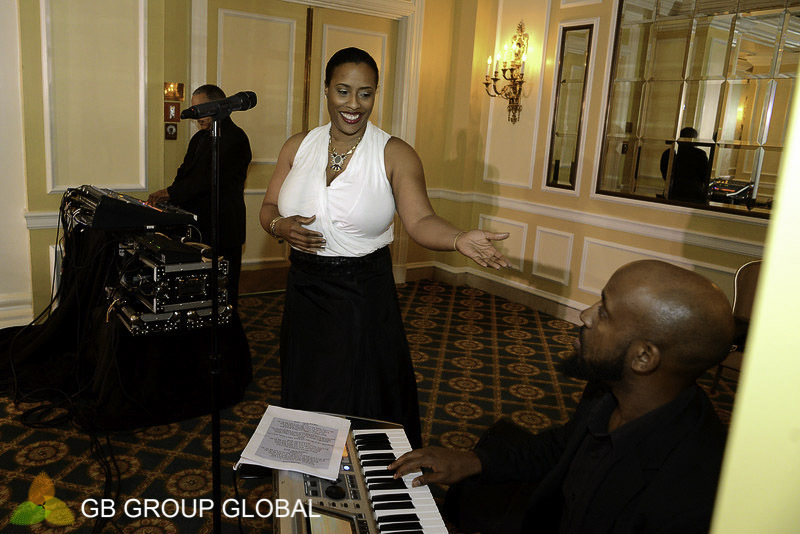 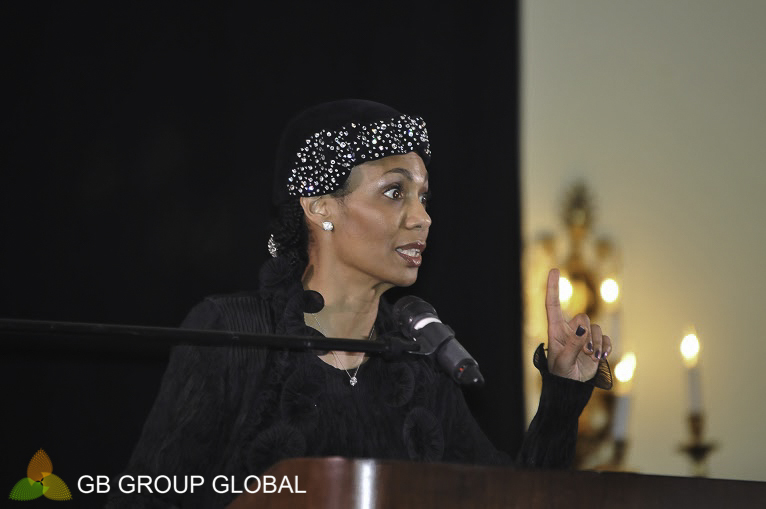 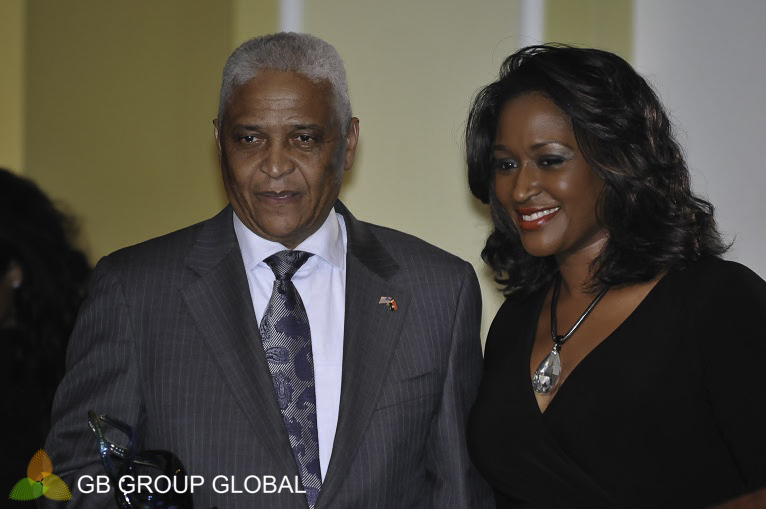 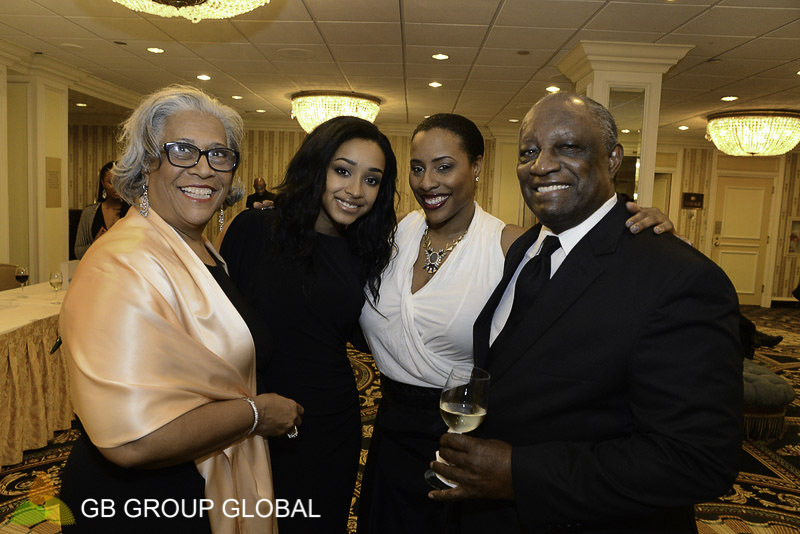 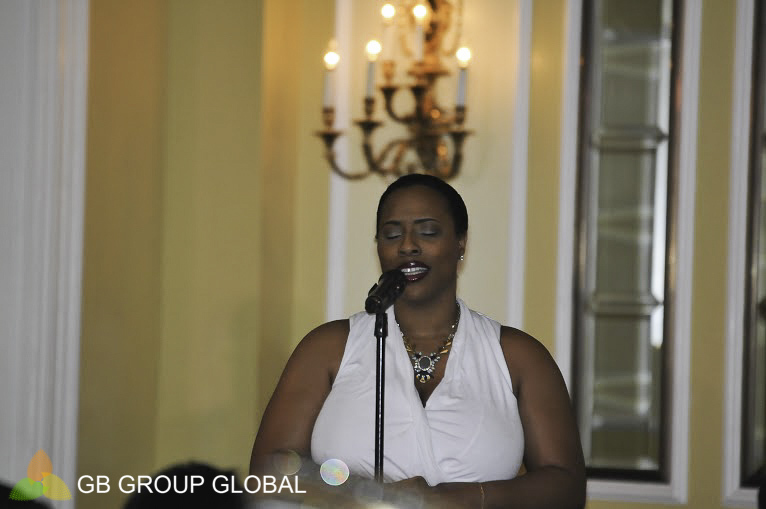 Mistress of Ceremony was award-winning TV anchor & reporter Maureen Umeh of Washington DC’s Fox 5 News. 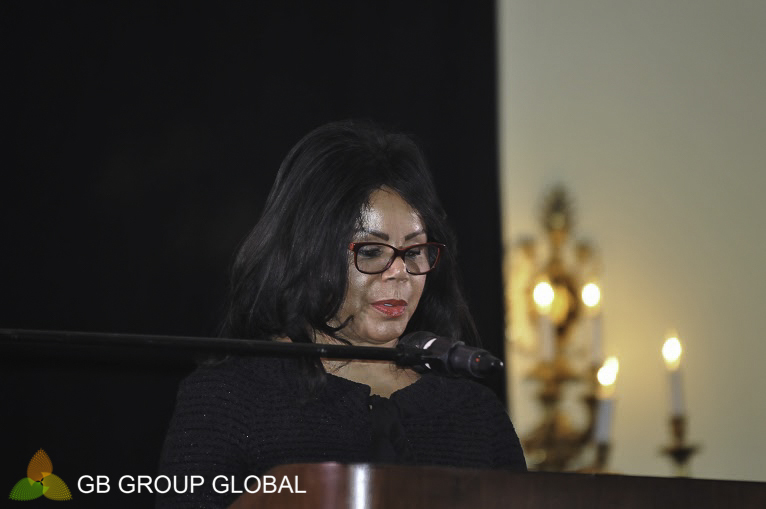 Welcome remarks were delivered by Dr. Estelle-Marie Heussen, COO, GB Group Global, who talked about the remarkable achievements of women throughout the world. 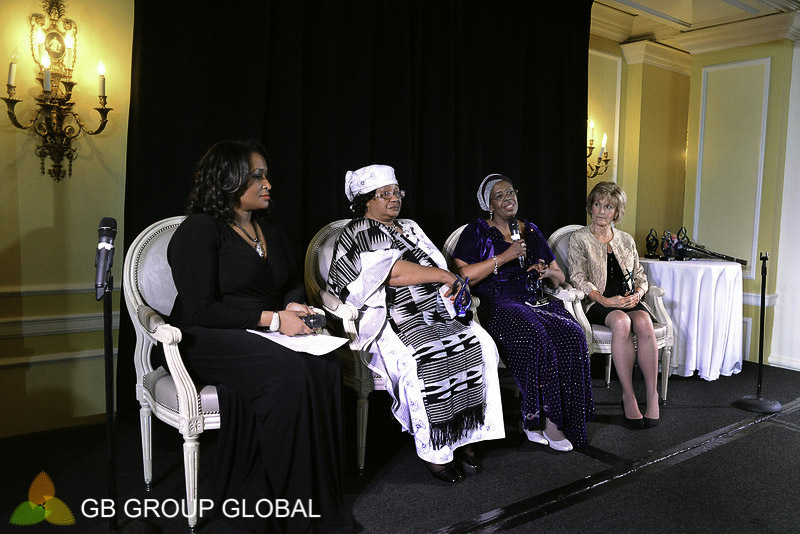 The second annual Leadership Awards dinner by GB Group Global was held March 4 at the Willard Intercontinental with the theme, “Celebrating Global Women: Women leaders who lead through political participation, corporate leadership and entrepreneurship.” Awardees included Joyce Banda, former President of Malawi, Ambassador Amina Ali of the African Union Mission, Angolan entrepreneur Isabel dos Santos, Fumbi Chima, vice president of International Integration for Wal-Mart, and Joan Wages, president and CEO of National Women’s History Museum.